Dewey Hee, 67, of Everett, Washington, passed away on November 11, 2016. He was born in Fort Bragg, California, on September 29, 1949, the son of George and Martha Hee (Kellum). His family was the first Chinese settlers in Mendocino, California and Dewey was a fourth generation direct descendant to that legacy. He grew up in Mendocino, graduating from Mendocino High School in 1969. After graduating from Heald’s Engineering College in San Francisco, California, he was recruited by Boeing and moved to Seattle, Washington. After a career with Boeing that spanned 39 years, he retired in 2012. Dewey was an avid Ham Radio operator beginning at an early age and post retirement, returned to his passion, connecting with ham operators worldwide. He became a member of Snohomish County Hams Club where he met and became fast friends with many in the club. Dewey also enjoyed music, playing bass in high school and guitar in a local band in Mendocino. Dewey overcame many obstacles in his life and with his stubborn persistence and tenacity, rose above them and went on to lead a rewarding and fulfilling life. 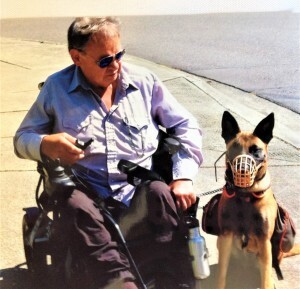 Most importantly, he was devoted to his family and quite fond of his dog, Lunetta, a Belgian Malinois. He was preceded in death by his parents; and brothers, Raymond and Wayne. He leaves behind his wife, Gloria; and daughter, Jessica; he is also survived by his sisters, Loretta McCoard, Lorraine Hee-Chorley; and brothers, Mervin Hee and Wesley Hee; and numerous nephews and nieces.